Leveling the playing field for employees. At Resnick Law Group, our New Jersey Employment Lawyers are passionate about defending the rights of employees. It shows in our results. Founding attorney Gerald Jay Resnick is a Certified Trial Attorney in New Jersey, a prestigious designation reflecting significant trial experience and a high level of professionalism. Mr. Resnick has helped set important legal precedents for workers and successfully tried many employment cases to a verdict, including cases involving employment discrimination, wrongful termination, hostile work environment, and retaliation and whistleblower claims. With over 25 years of employment law experience, we understand the legal, practical and personal dimensions of your employment dispute. We are experienced, aggressive advocates for each and every one of our clients. A dispute between an employee and his or her employer puts the employee in a very difficult situation. You depend on your employer for a regular paycheck that supports you and your loved ones. You have relationships with coworkers, and may derive satisfaction from performing your job with skill and professionalism. You commit many of your waking hours to working on your employer's behalf and have a personal investment in your job. In many cases, you want to maintain an ongoing, friendly relationship with the employer despite the employer's improper conduct. "Rocking the boat" by standing up for yourself can cause ripples that affect your career now and in the future in ways you may not foresee. In a difficult economic climate, employees sometimes opt not to assert their rights for fear of losing their jobs under the pretext of layoffs or cutbacks. Defending your rights as an employee can appear to be long odds against the substantial resources of your employer. Therefore, it is essential to have an experienced, trustworthy advocate on your side. In any serious employment dispute, the counsel of an experienced New Jersey or New York employment attorney can make a tremendous difference. At Resnick Law Group, we are focused exclusively on employment law, and only represent employees. We understand the importance of your employment case and the often personal and sensitive nature of your case. We work on a number of different fee arrangements, depending on the case, from a straight hourly fee to a contingency fee. Our New Jersey employment lawyers represent workers in a wide variety of employment cases. Our office has significant experience with employment discrimination cases, including age discrimination, sexual harassment, disability discrimination, and discrimination or harassment based on other protected categories, such as race, gender, religion, and pregnancy. We have litigated many employment contract disputes, including non-compete claims. We have extensive experience with family and medical leave claims, as well as severance agreements and various wage and hour claims, including violations involving overtime pay. We also have handled numerous employee misclassification cases, and fraud and misrepresentation claims. Resnick Law Group has a sophisticated understanding of the world of employment law. We stay abreast of new developments in the law and publish a legal blog as a resource for the public. Our firm has substantial trial experience, and we understand firsthand the issues in presenting your case to a jury. This trial experience gives us considerable insight in assessing the merits of your case, preparing it for trial, and engaging in settlement negotiations. We will efficiently advise you of your rights and options, and represent you in negotiations, arbitration, litigation, and in any appeal. For your convenience, we have offices in both New York and New Jersey. For a confidential consultation, call our New Jersey office at (973) 781-1204, or our New York office at (646) 867-7997. 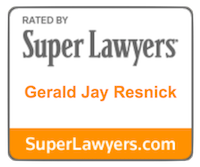 Gerald Jay Resnick was selected to the Super Lawyers list (2006-2016). Vincent Antoniello was selected to the Rising Stars list (2010, 2014-2015). 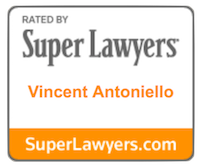 The Super Lawyers/Rising Stars lists are issued by Thomson Reuters. A description of the selection methodology can be found at www.superlawyers.com/about/selection_process_detail.html No aspect of this advertisement has been approved by the Supreme Court of New Jersey. Attorney Gerald J. Resnick is certified by the Supreme Court of New Jersey as a civil trial attorney. To qualify for certification by the Supreme Court, the attorney must demonstrate an excellent reputation in the legal community and pass a rigorous examination in trial practices. Read more about the requirements of certification.